Fidel Castro described Salvador Allende's democratic election as president of Chile in 1970 as the most important revolutionary triumph in Latin America after the Cuban revolution. Yet celebrations were short lived. 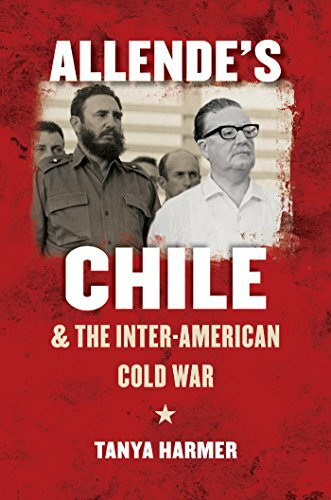 In Washington, the Nixon administration vowed to destroy Allende's left-wing government while Chilean opposition forces mobilized against him. The result was a battle for Chile that ended in 1973 with a right-wing military coup and a brutal dictatorship lasting nearly twenty years. Tanya Harmer argues that this battle was part of a dynamic inter-American Cold War struggle to determine Latin America's future, shaped more by the contest between Cuba, Chile, the United States, and Brazil than by a conflict between Moscow and Washington. Drawing on firsthand interviews and recently declassified documents from archives in North America, Europe, and South America--including Chile's Foreign Ministry Archive--Harmer provides the most comprehensive account to date of Cuban involvement in Latin America in the early 1970s, Chilean foreign relations during Allende's presidency, Brazil's support for counterrevolution in the Southern Cone, and the Nixon administration's Latin American policies. The Cold War in the Americas, Harmer reveals, is best understood as a multidimensional struggle, involving peoples and ideas from across the hemisphere. Drawing on firsthand interviews and recently declassified documents from archives in North America, Europe, and South America, Harmer provides the most comprehensive account to date of Cuban involvement in Latin America in the early 1970s, Chilean foreign relations during Allende's presidency, Brazil's support for counterrevolution in the Southern Cone, and the Nixon administration's Latin American policies. Harmer argues that this battle was part of a dynamic inter-American Cold War struggle to determine Latin America's future.